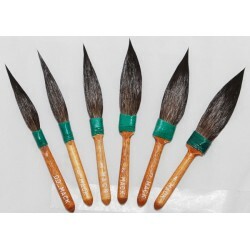 Mack Brush Series 30 Dagger Style Striping Brushes. These are European Dressed squirrel hair stripers made in USA. The brushes are Lacquer, Enamel and Water resistant.